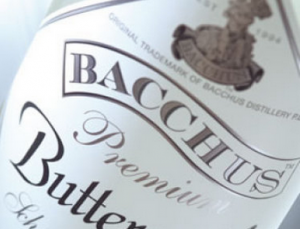 Victoria-based Bacchus Distillery, Australia’s largest cream liqueur manufacturer, will be joining Epoch Wine Group, thereby allowing the latter to expand its product offerings beyond wines to spirits and liqueurs. Epoch will begin distributing Bacchus products on August 1, 2013. Epoch CEO Sam Mete says taking in Bacchus will give them a unique opportunity to reach clients and access channels that they are not currently servicing on a national basis. According to the media release from Epoch they will also be retaining key staff from Bacchus’ current distributor, Pacific Beverage Company, to facilitate a smooth transition to market. “Whilst their products are not traditional wine products, the diversity of their portfolio opens up new routes to market that will benefit not only our current stable of brands but those that we take on in the future. These benefits will also have a flow on effect to our customer base,” said Mr. Mete. Bacchus Distillery was established in 1994 as a manufacturer and distributor of alcoholic beverages. The company has patented a manufacturing process that allows it to deliver innovative premium products which include mixed cocktails, ready-to-drink, ready-to-serve, schnapps, spirits and shots. Bacchus brands such as Bacchus Cowboy, Smoothie, 6 Shots and +ICE Cocktails are being sold in major retail liquor outlets across Australia. The company also offers contract manufacturing through the skills of an R&D team which could formulate products customized according to a client’s needs. Epoch Wine Group was established in April of this year as a company born from the partnership between Orange-based wine producer Cumulus and the Berardo Group of Portugal. Epoch currently distributes the Cumulus Estate Wines brands including Climbing and Rolling, and Margaret River winery Flying Fish Cove.